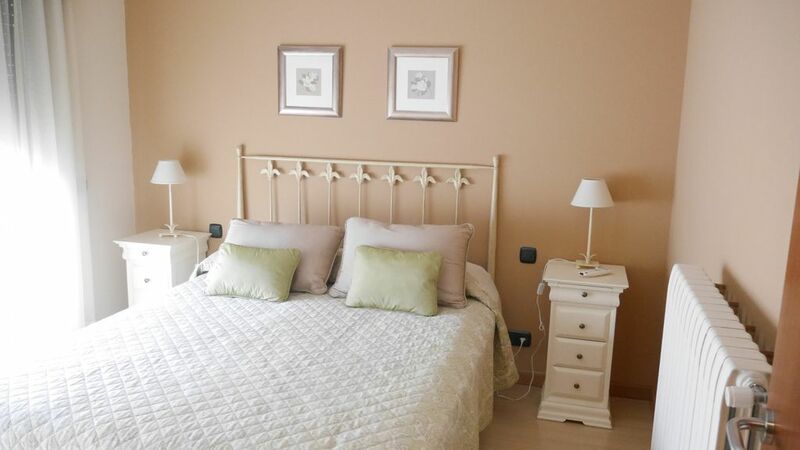 The apartment in Encamp has 1 bedrooms and has capacity for 4 people. The apartment is cozy, is a new build, and is 50 m². It has views of the mountain. The property is located 300 m from Funicamp Grandvalira skiing resort, 500 m from Encamp city. The house is situated in a residential neighborhood in a suburb. The accommodation is equipped with the following items: lift, 5 m² terrace, iron, internet (Wi-Fi), central heating, covered parking in the same building, 2 TVs.